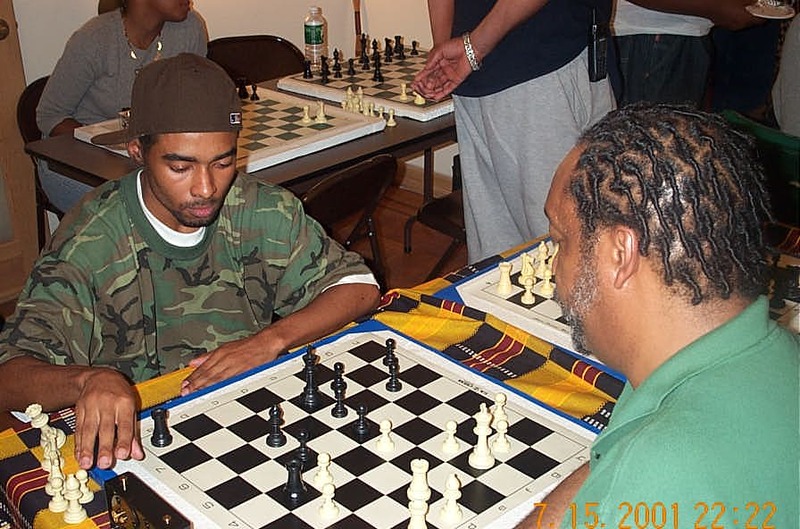 Visit Colding's Oxford Chess Club in Brooklyn!! 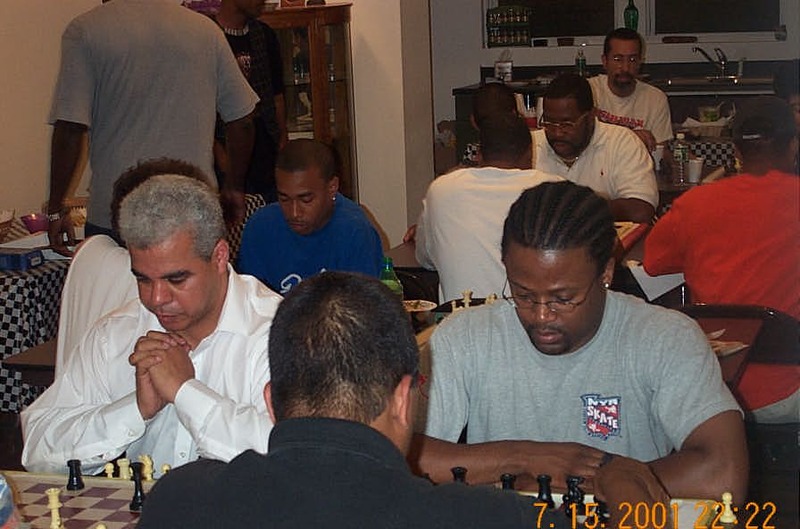 NM Ernest Colding (left) directing the blitz tournament. NM Colding and GM Maurice Ashley defending the 'Black Bear' tradition. 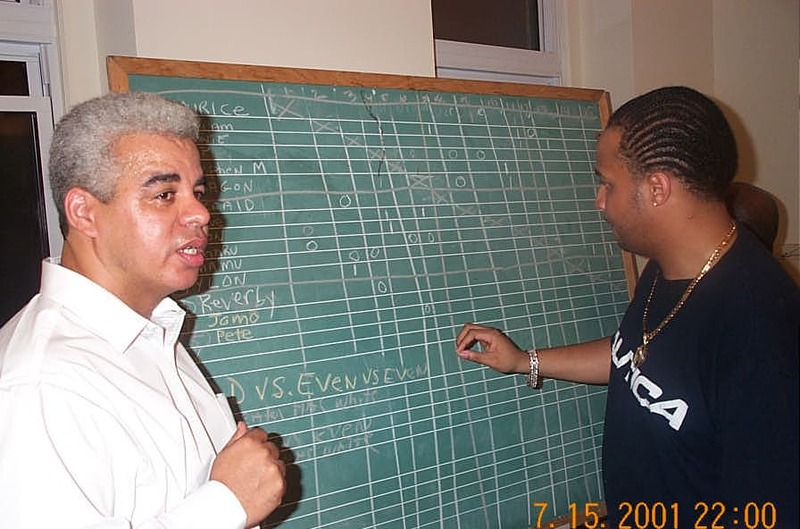 Kenny Solomon, an up-and-coming star from South Africa takes on Black Bear patriarch, Willie "Pop" Johnson. 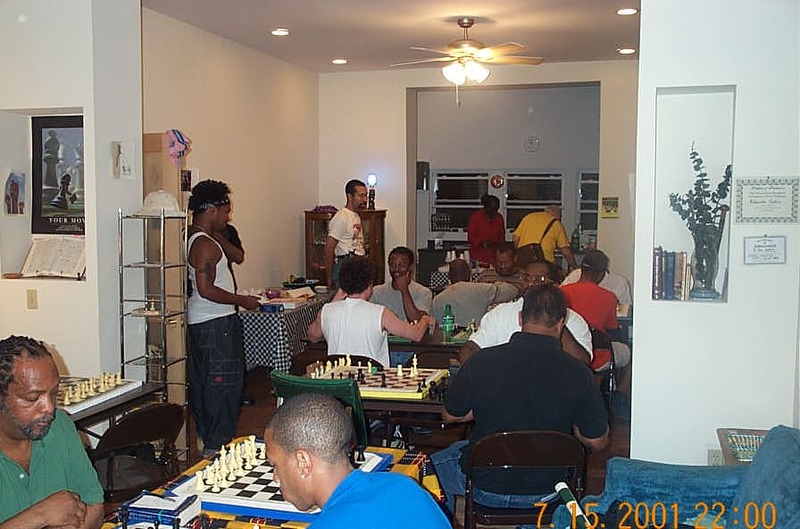 The Oxford Chess Club needs your support! !